If you love bright colors, you're gonna LOVE the new In Colors for 2018-2020!! To show you how beautiful and vibrant these colors are, I decided to make the same card design in each color. I used the Daisy Delight bundle...because it was sitting on my desk from a previous project!!! Haha! If you love this bundle, be sure and get it before May 31st. The stamp set and punch will be available in the new catalog, just not at the 10% discount that it is now. If you're interested in purchasing the new In Color Collection, do so now and save 10%!!! I love when I can save money on my must haves!!! Also in the month of May, you have the opportunity to purchase an early release called Share What You Love. 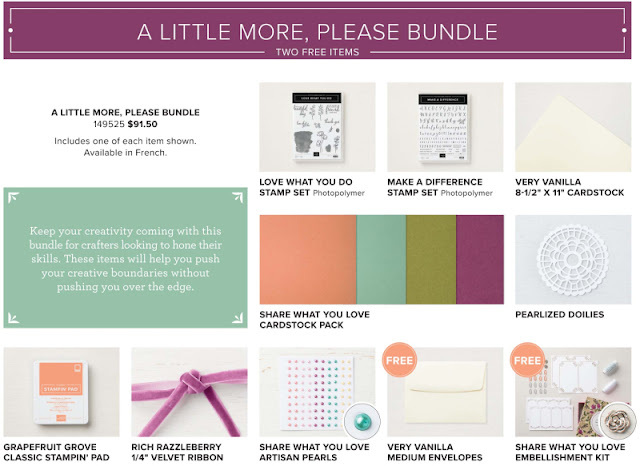 There are 3 bundle options available with freebies included!! 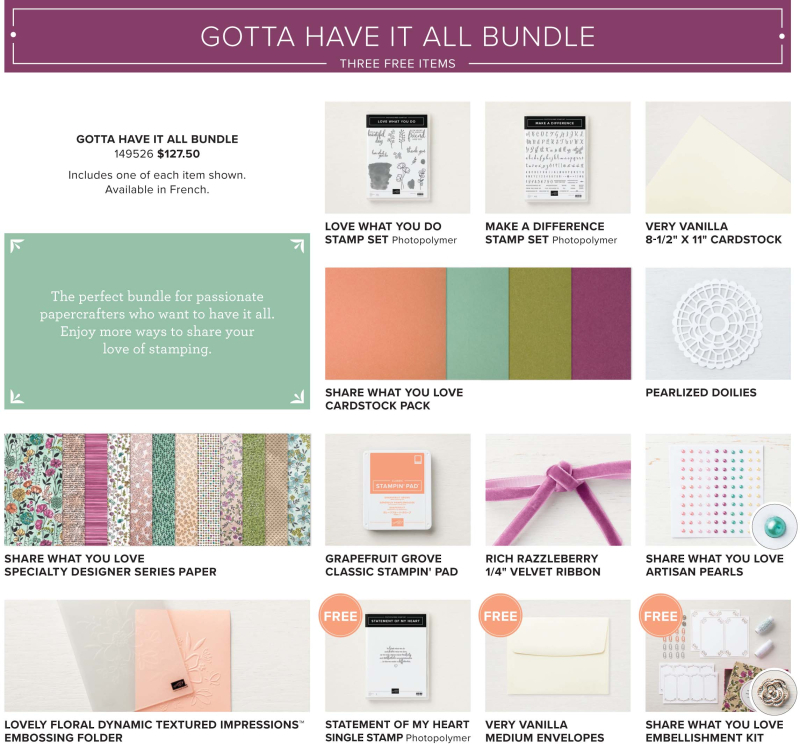 The first bundle is called Just Getting Started, perfect for the new crafter. With this bundle you will receive Very Vanilla note cards and envelopes for free! The next bundle is A Little More, Please. Check out all the yumminess you get in this bundle, from two new stamp sets to ink, cardstock and embellishments. Your two free items in this bundle are Very Vanilla medium envelopes and the Share What You Love embellishment kit. The third and biggest bundle is the Gotta Have it All. If you are a "I want it so I must have it" kinda gal like me, this is the one for you. Two additional items are included, the specialty paper and Lovely Floral embossing folder. And, there are 3, yes I said 3, free items in this bundle. The Statement of my Heart single stamp (exclusive to this bundle only and will not be available after May 31st), envelopes and embellishment kit. Stay tuned for a card class (online or in person) I am putting together using the Share What you Love suite for the month of June. 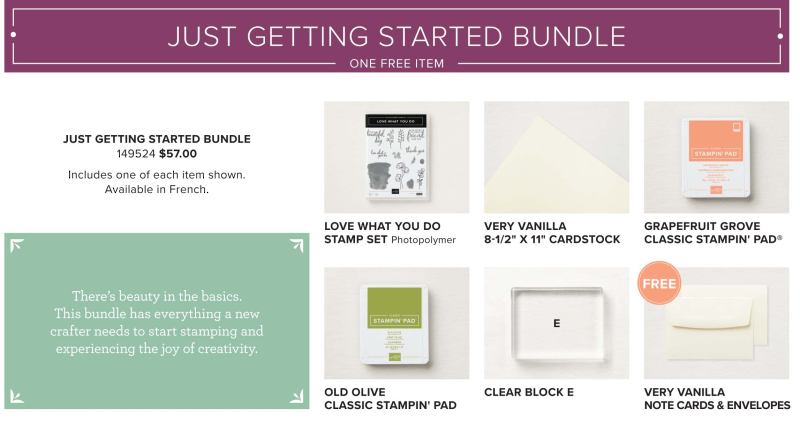 If you purchase any bundle from my store during the month of May using the Hostess Code VQCZVQWG, you will receive the supplies prepped and ready for you to create the cards. You will need to provide your own inks and adhesives/dimensionals. I will also include the tutorials for all the cards as well. All you have to do is purchase one of the bundles listed above and use Hostess Code VQCZVQWG. Happy shopping!! Beautiful cards in such a great variety of colors. Such colourful and beautiful cards. Love them!